A language, which is the product of those who speak it, constantly changes. In this sense, it seems appropriate to clarify concepts and explain the recent evolution of certain grammatical, spelling and lexical issues. Doing so will provide the basis for outlining certain editorial style guidelines. Furthermore, current forms of digital writing have created new “genres” or modes of communication (text and Whatsapp messages, tweets, blogs, forums), calling for stylistic recommendations that this manual provides with writing guidelines. On the other hand, the current importance and prominence of audiovisual media make necessary a manual of pronunciation accessible to the general public. 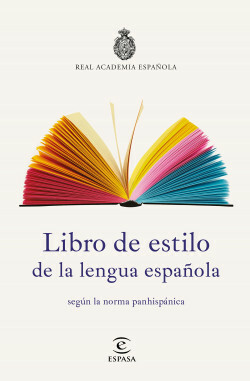 The Spanish Language Style Guide of the RAE aims to fill this gap by setting out, with abundant examples, reading rules that conform to correct pronunciation.